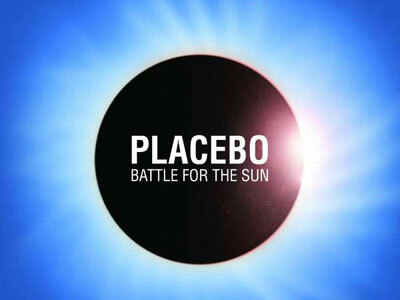 Consider Battle for the Sun Placebo's metaphorical breakaway from their trademark of darkness that they've established since their first album more than a decade ago. This is the band's sixth record, and what's most noticeable about it is that it moves away from Placebo convention. The album's opening salve "Kitty Litter" is something like a tribute to past Placebo records. The song is aggressive, fast, and like many Placebo songs, have very evocative lyrics. And then Placebo finally starts to explore new territory in the next three songs: "Ashtray Heart," "Battle for the SUn," and "For What It's Worth." What's impressive is that the band's infectious lyrics and catchy pop sensibilities—things that make Placebo so endearin—are never left behind. The song "Devil in the Details" with one of its lines going "looks like the Devil's here to stay" sounds like an admission on the band's part: they won't ever be free from their demons, no matter how optimistic they try to be. The song "Bright Lights" follows, which contains some of the msot tender lyrics in this record. Battle for the Sun is outstanding. It is another testament to Placebo's master of creating unbelievably well-crafted melodies. There are no fillers here, just songs that unbashedly reveal their own personalities, making the record rather dynamic.